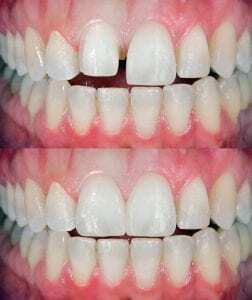 Teeth bonding, also known as dental bonding, uses a natural, tooth-colored resin to improve the look of a chipped tooth, discoloration, and even to close a gap or space between teeth. Using resin bonding material, teeth can be repaired, restored or the shape of a tooth changed. This cosmetic procedure opens up many opportunities to improve the appearance of your smile! Teeth bonding is a relatively straightforward and economical solution for a number of cosmetic dental problems. 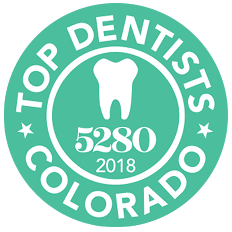 The entire teeth bonding procedure occurs in our dental office in Thornton, CO. The process begins with selecting the best tooth color from the bonding resin options to ensure a natural result. Teeth must be prepared to receive the bonding resin. Typically anesthesia is not required unless the dental bonding resin is to be used as a filling or the tooth must be drilled to alter its shape. The surface of each tooth is roughened with a mildly acidic solution and a liquid applied to optimally accept the resin. Dental bonding resin is similar to a putty or filler. It’s applied, molded, and then smoothed to achieve the desired shape. It may take several layers to build up the resin to the desired thickness. To help the material dry and harden, ultraviolet light is used. Following sufficient hardening, the resin is then further shaped and polished to match the rest of the tooth and other teeth. The process takes about 30-60 minutes for each tooth. Of all the possible cosmetic dental procedures, teeth bonding is perhaps the easiest and most economical. 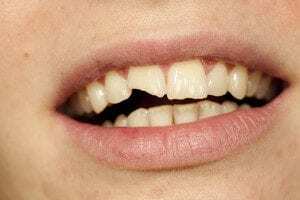 Dental bonding can improve many different types of teeth problems, and the entire process can be carried out in a single visit with the tooth good-as-new when the patient leaves. Dental bonding is relatively pain-free with little enamel removed for the procedure. Unless bonding is used as a filling material, anesthesia is usually not required. To avoid any chipping of the bonding material, it’s best to stop habits of nail-biting, chewing on pens or using your teeth to open packets. Avoid hard foods and candy that could chip the bonding material. Barron Family Dental uses teeth bonding to improve many teeth imperfections and get patients back to feeling confident in no time! Dental bonding is a quick, easy, and safe option for minor cosmetic dental problems.